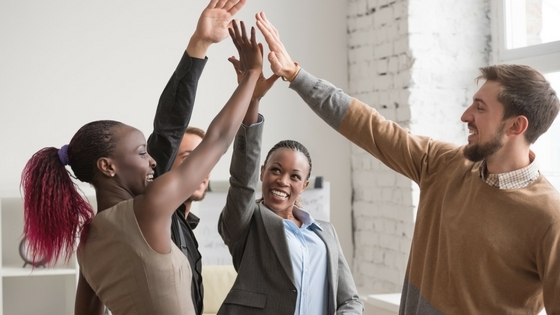 How are you celebrating your employee volunteers? April is National Volunteer Month and next week, April 15 – 21, is National Volunteer Week. How are you celebrating your employee volunteers? It’s been proven that employee volunteerism boosts morale, engagement, retention and productivity. And companies who sponsor volunteer activities are overwhelmingly seen as offering an overall better working environment than those who don’t. 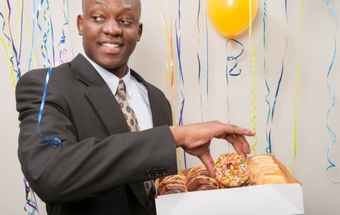 So, celebrating your employee volunteers is a no-brainer. 1) Measure. Make April the month that you release any and all analytics you have compiled throughout the year regarding volunteerism at your business. If you haven’t already, add questions regarding your Employee Volunteer Programs (EVPs) to your annual review process and share results during National Volunteer Month. Quantify as much as possible. Present cumulative volunteer hours and apply a dollar value to hours, projects and services so your entire organization can see the real impact your EVPs are making. 2) Recognize. Every single volunteer deserves to be recognized and thanked for their efforts. Be sure recognition comes from senior executives, stressing the importance of their service to the organization. Consider naming all volunteers in your corporate newsletter or website. Ask each volunteer to supply a sentence about why they volunteer or the best part about volunteering. Help to create an atmosphere of excitement around your EVPs so even more employees will be inspired to participate in the future. And, be sure to share your impact stories with the community through local and business news outlets. 3) Celebrate Plan a company-wide event where each volunteer is called up to receive a small gift. Throw a special luncheon or dinner for volunteers only and be sure all senior executives attend. Set up stations with information to sign up new volunteers. Celebrate your volunteers and volunteerism all month long with decorations, information and events. 4) Support. What most volunteers really want are more, better ways to contribute to the community. Take this month to solidify corporate support for these programs. Two great ways to show support is by allocating more time and resources to the programs and by having senior executives take part hands-on in projects. 5) Invigorate. Use Volunteer Month to develop plans to grow and improve your EVPs. Listen to volunteers about what has worked and what hasn’t. Share information across offices and create as much efficiency as possible. Encourage open communication and create action items and goals. Be sure you are creating opportunities for everyone in your diverse workforce, including on-site, off-site and virtual volunteering opportunities. Create multiple one-off events to support ongoing initiatives. The more opportunities the better. YouGiveGoods Workplace Giving Platform is a great addition to your EVP enabling you to raise needed goods for charity without the bother of any of the logisitcs. YouGiveGoods Giving Events help to meet the changing needs of the community by supplying charities with goods they need for their everyday programs or in times of crisis. Clearly, we’re not talking about just buying a cake! Use National Volunteer Month to not just celebrate but to take inventory of your EVPs, show top level support to the programs and individual efforts, and demonstrate long-term buy-in from the corporation to be a meaningful, committed community partner for years to come.